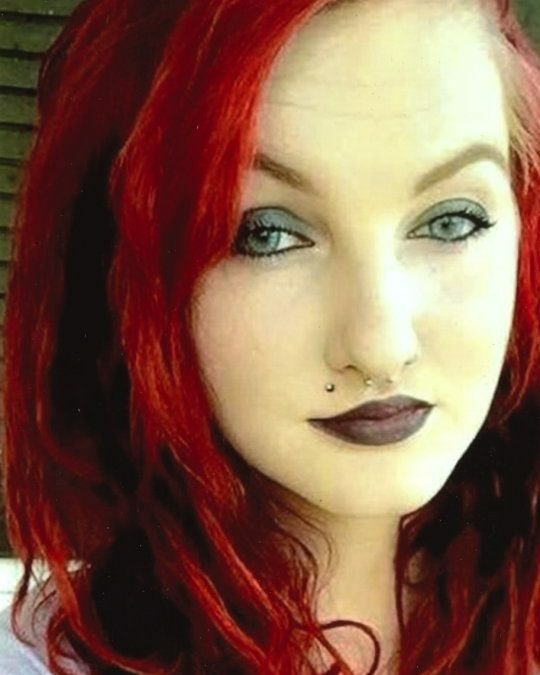 Corey Lynn Dinsmore, age 24, of Ferguson, Kentucky, passed away on Thursday, July 12, 2018 at her home. She was born on March 30, 1994 in Somerset, Kentucky to Darren Haley and the late Carolann Ketten Haley. She was a server at Fish Tales and enjoyed singing, fishing and spending time with her family and her friends. She was preceded in death by her mother; Carolann Haley, and her grandfather; George Haley. She is survived by her husband; Jody Dinsmore, and one son; Carson Dinsmore, both of Ferguson, one daughter; Carolann Wright of Richmond, two brothers; James Haley and Michael Ketten, both of Richmond, one sister; Whitney Haley of Bronston, her grandmother; Shirley Haley and a special friend; Bryana Renfro. Visitation will be at 4:00 p.m. on Monday, July 16, 2018 in the Chapel of Southern Oaks Funeral Home with funeral service to follow at 5:00 p.m. at the funeral home. Southern Oaks Funeral Home is entrusted with the arrangements for Corey Lynn Dinsmore.